Let Precision Auto be your Precision Auto Repair Tires one stop shop for all of your car maintenance and repair needs. 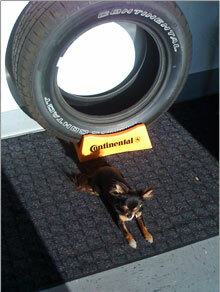 We offer a variety of tires to fit your budget and are proud retailers of Continental Gold. Safety is our number one concern, so our technicians carefully inspect your tires and monitor them for irregularities and worn down spots. We also offer 4 wheel-computerized alignments with the latest in 3D camera technology. We are specialists in aligning these four types of vehicles and are experts at getting the alignment done quickly and correctly the first time. We make necessary adjustments to the vehicle's suspension that other shops may overlook. Come visit us to see all of the ways Precision Auto can service your vehicle. Continental was founded in Hanover in 1871 and is currently Continental Tire one of the five largest automotive suppliers in the world and is the second largest in Europe. As a supplier of tires, brake control systems, driving dynamics control, driver assistance systems, sensors, systems and components for the powertrain and chassis, instrumentation, infotainment solutions, vehicle electronics and technical elastomers, we contribute towards enhanced driving safety and protection of the global climate. Continental is also a competent partner in networked automobile communication. Continental is a continuous driving force for future mobility concepts, and not just in the automotive industry. 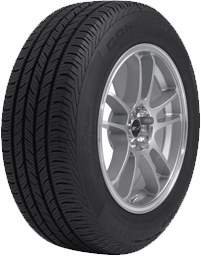 In the tire sector, Continental ranks fourth worldwide and is the market leader in Europe in passenger and light truck tires and industrial tires. Each division and each employee at Continental consider themselves to be not just suppliers of products and systems. Across the board, we at Continental take a holistic approach to the challenges our customers confront us with. We are a successful development partner. Our know-how goes directly to where it is needed: our customers. General Tire is part of Continental Tire North America, Inc. CTNA, based in Fort Mill, South Carolina, is a company of Germany-based Continental AG. The Continental Corporation is one of the top automotive suppliers worldwide. As a supplier of brake systems, systems and components for the powertrain and chassis, instrumentation, infotainment solutions, vehicle electronics, tires and technical elastomers, the corporation contributes towards enhanced driving safety and protection of the global climate. Continental is also a competent partner in networked automobile communication. Today, the corporation employs approximately 150,000 people at nearly 200 locations in 36 countries.